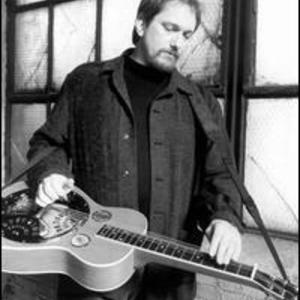 Jerry Douglas (born in Warren, Ohio on May 28, 1956) is an American Dobro player. He is best known for his bluegrass recordings with other prominent musicians such as J. D. Crowe and the New South, B?la Fleck, Tony Rice, and Alison Krauss and Union Station. He has released several solo albums and has been featured in over 750 recordings throughout his musical career. Douglas often plays Scheerhorn resonator guitars, built with an open soundwell and solid wood for huge volume. Jerry has received twelve Grammy Awards in recognition of his talent.